Scientific modeling and consensus shows poor air quality from smoke may be increasing in the near future. While the long term factors (increases in hazy skies, dirty cars and dry coughs during our summers) cannot be solved quickly, there are strategies one can use to help keep loved ones protected during these likely health hazards. “The most important thing a person can do when air quality becomes unhealthy or hazardous is to limit exposure to the dirty air,” says Chris Baisch, HVAC & Home Performance expert at Washington Energy Services. “The notion being, when the air gets bad outside, button down the hatches inside.” The challenge with this strategy is that most homeowners in Puget Sound do not have air conditioning. Therefore they must decide between stifling indoor temperatures or opening windows for airflow relief with worse air quality. When one has air conditioning, it is critical to keep all windows and doors closed so the AC can do its magic and keep the home comfortable. This has a double-positive effect on the air quality of the home. First, it allows the home to have a consistent barrier between outside and inside with all windows and doors closed. But, just as importantly, when your AC is running, you are also cleaning your indoor air as it cycles through the filtration system connected to the ductwork. This removes particulates and cleans the air whenever the HVAC blower fan is on. More advanced filters and cleaners can even eliminate harmful indoor air quality problems like VOC’s, mold and finer particulates. If you suffer from allergies, asthma or other respiratory conditions, it may be wise to invest in enhanced filtering systems like HEPA filters or UV ionizers. Along with wildfire smoke, the Pacific Northwest is seeing steady annual increases in total pollen production from plants making our allergy season reliably miserable https://www.columbian.com/news/2018/jun/09/pollen-its-getting-worse/. We are seeing a trend in homeowners electing to add more robust air cleaning to their HVAC systems for these very reasons and more. No matter what, it is wise to have a plan for poor air quality periods during the spring and summer months. We recommend having a strategy for high smoke days, high pollen days and high heat days all of which can trigger poor indoor air quality conditions. Undertaking a home energy audit creates a baseline for your home’s performance. Our Home Performance Specialists will seek out drafts or leaking ductwork. Once found, Washington Energy Services is able to seal your home so that you aren’t wasting expensive heating or cooling energy. By insulating and air sealing first, you will make your home more comfortable and reduce your utility bills for years to come. Plus, you’ll be able to install a smaller furnace or air conditioner when it’s time to replace that equipment, saving you even more. A comprehensive home energy audit will scientifically determine how much air leakage exists in your home and the current insulation levels and quality of installation–and how you can improve. Our certified technicians are experts in sealing your home’s ducts to optimize air flow. Duct work must be well sealed, insulated, and balanced to ensure your home’s heating and cooling systems work as efficiently as possible. Most homes have leaky duct work and insufficient air flow, which results in an uncomfortable living environment — regardless of the thermostat setting. A duct system that is properly sealed can make your home more comfortable, energy efficient, and deliver cleaner air. Poor ventilation increases pollutant levels. Sources that emit gases or particles into the air are the primary cause of IAQ problems in homes. Poor ventilation can increase levels of these pollutant levels by not directing them outside and by not bringing in enough “fresh” outdoor air to dilute indoor pollutants. High temperature and humidity can also play a role. 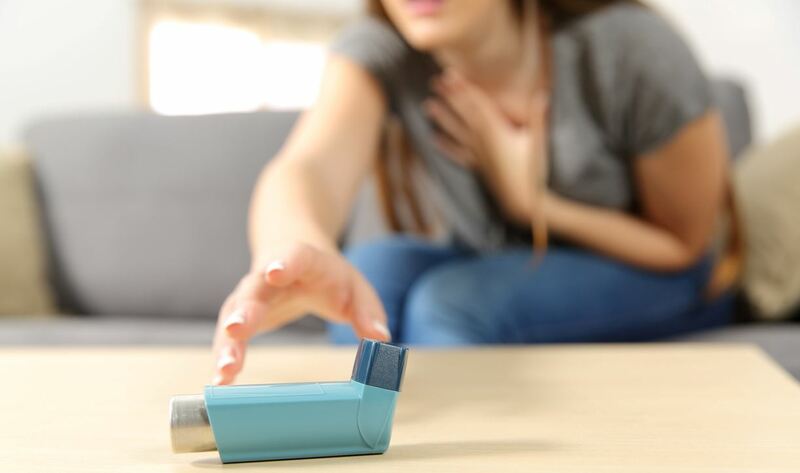 Indoor air pollutants can cause a variety of health problems including irritation of the eyes, nose, and throat, headaches, dizziness, fatigue, asthma, and even eventually respiratory disease, cancer, and heart disease. Our Home Energy Specialists have been trained to diagnose the indoor air quality of your home and properly treat it. If you are concerned about your home’s performance, give us a call at 800-398-4663 or contact us online to get started with a home energy audit.